Last week, we had two separate instances where a jockey weighed in incorrectly after their races and on both occasions, punters were scorned for something they had absolutely no control over. Commencing on Saturday, Racing Victoria will be trialling a new race schedule which will see the first race at Caulfield jump at 2.25pm. The final Group 1 of 2013 is upon us with the Kingston Town Classic which has traditionally been the weight-for-age championship of Western Australia. Join us from 7.45pm AEDT for a preview and live blog of the race. If State of Origin existed in horse racing, Tasmania’s representatives would probably finish 20 lengths behind any horse from the mainland – and the gap is widening. The second of our Group 1 races this evening is the 2013 Railway Stakes, Western Australia’s richest race. Join us for a preview and live updates from 8.00pm AEDT. Attention now turns away from Melbourne and onto Western Australia for the final Group 1s of the calendar year. 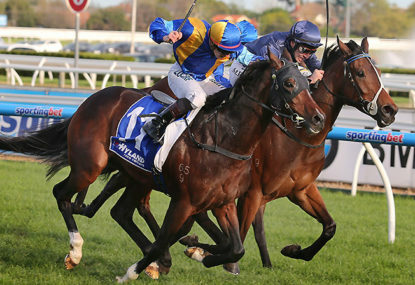 Join us from 7.05 AEST for the running of the 2013 Winterbottom Stakes. The spring carnival was full of heart-warming stories which we looked at last week but the reality of racing is, when someone wins – someone has to lose. So who were the biggest disappointments of the carnival? Trackside, we often see ecstatic owners and trainers showing the rawest of emotions. 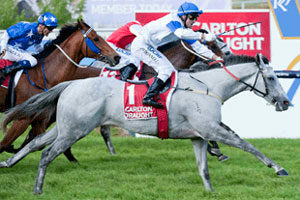 So across the spring carnival, who were the biggest winners? 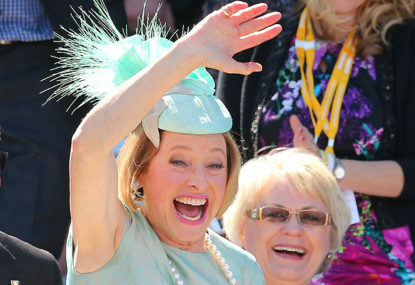 Gai Waterhouse has claimed her first Melbourne Cup with Fiorente to firmly prove herself not just one of the best trainers in Australia, but the world. 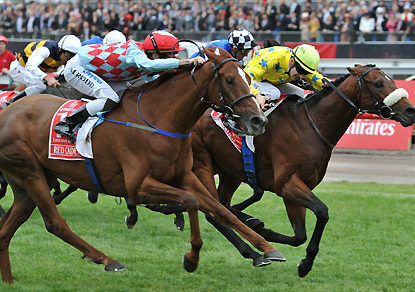 Melbourne Cup 2013: Red Cadeaux runs second, again! 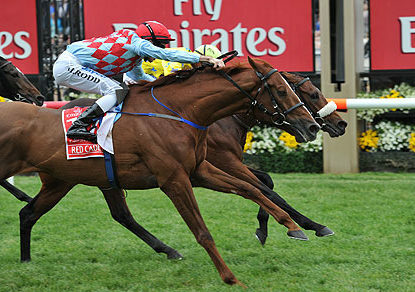 It was agonisingly close to a big payday for globetrotter Red Cadeaux and trainer Ed Dunlop, who ran second for the second time at the Melbourne Cup to go with his runner-up performance in 2011.
Who will win the 2013 Melbourne Cup? It’s the question you need an answer to, and we’ve previewed each horse in detail with tips and predictions for the race that stops a nation. 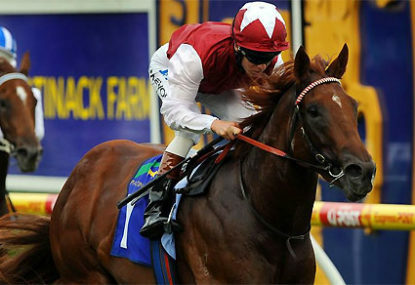 Don’t know much about horse racing but still want to pick the Melbourne Cup winner? What time does the 2013 Melbourne Cup start? Here are a few basic guidelines for the race that stops a nation, which begins at 3.00pm AEDT. Women might be taking over Melbourne’s racecourses for the Spring Racing Carnival, but on the track, they are struggling to gain a foothold. The weight-for-age championship is upon us and the 2013 Cox Plate has been thrown wide open after the scratching of Atlantic Jewel. Join us from 4.00pm AEDT for a detailed preview, live blog and post-race analysis. 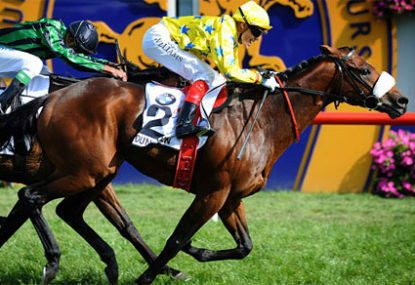 Group 1 racing returns to Moonee Valley tonight with the running of the 2013 Manikato Stakes. Join us from 9.15pm AEDT for a preview, live blog and post race analysis. 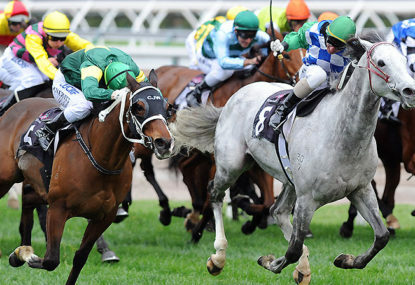 Who will win the 2013 Cox Plate? It’s the question everyone will be asking tomorrow afternoon. Let’s breakdown each horse in detail to try and find a winner for Australasia’s championship race. Mark Kavanagh’s Cox Plate fears for Atlantic Jewel are becoming reality, with the Melbourne weather forecast predicating wet conditions for Saturday’s Cox Plate where others would be better suited. The $2.5m 2013 Caulfield Cup has arrived and as we prepare for the first of three spring majors, we’re here to find the winner. Join us from 4.00pm AEDT for a preview, live blog and post race analysis of the Caulfield Cup which is scheduled to run at 5.45pm AEDT. The first of the spring majors has arrived and the Caulfield Cup never fails to disappoint. In preparation for today’s $2.5million race, here is part two of your guide to each individual runner in the field. The first of the spring majors has arrived and the Caulfield Cup never fails to disappoint. In preparation for tomorrow’s $2.5million race, here is part one of your guide to each individual runner in the field. Always great to see the Gelagotis boys on course whether it be for a Bairnsdale maiden or Group 2. One of the benefits they have from training out at Moe is the fact that both Moe and Moonee Valley are Strathayr surfaces which means their horses are much more familiar on it than those trained out of Caulfield or Flemington. They position their horses to this advantage and reap the rewards. I don’t think his leadership is an issue. To take over the amount of horses he did is a very long process and he is still learning about all the horses in the stable. Keep in mind, for a horse to go from Peter Snowden’s training regime to O’Shea’s is a big change and one that will probably take a preparation or two. It is like the European horses arriving in Australia. Most can’t just hit the ground running because their activities are completely different and spaced differently. It’s still a bit early to judge O’Shea. He will get blank canvases with their current 2YO crop so I would expect him to make his first real impact in Autumn. I don’t believe Moody was being dishonest. Moody is a great bloke who is very generous with his time to the media. 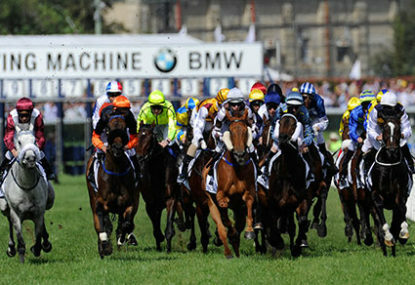 Plenty of horses work poorly at track work which switches them on for their upcoming race. He just happened to be the example of what others could say in the future to shape markets in their favour. Since then, the stable have confirmed MOC pulled up the following morning with a muscle tear which the vets on race day did not pick up on. Yes, this was the main reason he has not returned but for him to react the way he did says a lot about his character. I’m sure he has learnt a lot more about Australian racing since that day which is why I would expect he has a much better understanding of what it takes to win. If he has the right horse but that horse has its best chance of winning with a pacemaker, I would expect him to employ the exact same tactics again. If Australian racing so badly wants the internationals to come, then we have to accept their racing tactics that come with them. Bande’s biggest win to date is only at Listed level. He has run third in a Group 1 and third in a Group 2 but those will not affect his rating too much. I suspect he will get in very well at the weights around the 52.5 – 53.5kg region. The Sydney Cup has never been viewed as a strong form race for Melbourne Cup weights. Mourayan won in 2013 and went to the Melbourne Cup with 54.5kg and Niwot won in 2012 and went to the Melbourne Cup with 53.5kg. Yes, trainers can do this but the problem is; it is the horses that are not earning prize money which the owners do not pay up for. When a horse is regularly winning and brings in prize money, those owners are happy to pay up. But when you have a horse which is on the brink of winning and then loses their racing spirit, they put in a few shocking runs and owners suddenly have unpaid bills from a few months back. For an owner with a large share – it can be a lot of money. If Ollie was in Hong Kong, we’d probably never have seen him again! Chris Munce just had some number written on a piece of paper and he got 2 years of time! 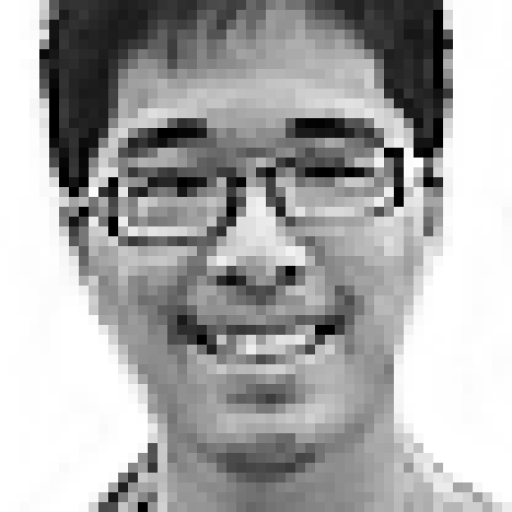 I actually like the Hong Kong authoritarian system. They take a hard line and stand by it. They have zero tolerance and they have about as clean a system as there is. I definitely agree that we need a national body. The scheduling of races is a big problem but this is largely due to the abundance of Group 1 races we have and that falls on the Pattern Committee. The ARB have just taken over the Stud Book are also taking over RISA so perhaps we could be moving closer towards a real national body. The taxation laws between each state is the biggest issue and why we have three totes. If we had just one tote, everything else would probably fall into line quite quickly. It would be very difficult to assign prize money though. What they offer on racedays is fantastic. If a horse runs well below expectation, an RVL vet will assess the horse there and then with no cost to the trainer or owners. This is something which could potentially be offered outside of raceday for trainers at the major complexes at significantly reduced fees if the vets are employed by RVL rather than operating their own private practice which is what is currently happening. O’Shea has voiced his belief in keeping the same rider on a horse for its entire prep which was why Sarajevo was ridden by McDonald. McEvoy said he wants to stay with Ghibellines and if the two clash, it makes sense to avoid any jockey controversy early. I’d say McEvoy a wise decision to stay on Ghibellines and notice Godolphin have nominate Ghibellines for the Cox Plate but not Sarajevo. 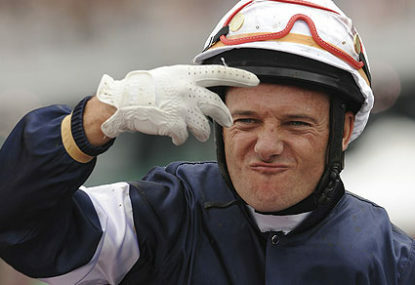 I would be very surprised if McEvoy was not Godolphin’s stable rider at the end of the season. McDonald and O’Shea have a great relationship but McDonald is also the preferred rider for Team Hawkes who have some very good horses in training. Worth watching for sure though. Tommy Berry, Brenton Avdulla and Tim Clark were all apprentices around the same time as Angland and have each forged solid careers as senior riders. Peter Wells, Daniel Ganderton and Josh Adams won apprentice premierships around the same time but have really struggled on the metropolitan scene as senior riders. I’m keen to see how Text’n Hurley comes out. 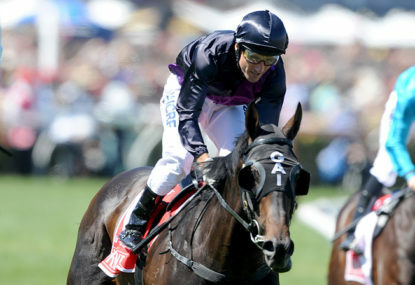 1200m will be a touch sharp for her today but Colin Little is setting her for the Cox Plate. She is Moonee Valley specialist so she doesn’t need to do too much to convince me she’ll be a genuine carnival contender. Aurie's Star 2014: A 'Crackerjack' spring awaits! Thanks Peeeko. Much appreciated. I always enjoy reading your comments. While trainers may not go to those race meetings on the edge of the state, there are a bunch of horses which can only win races there because they struggle to get starts closer to home. For example, a horse rated 55 will really struggle to get a start in a 0-58 rated race within 2 hours of Melbourne because there are so few that when there are, they are flooded with entries. Most of those entries will be horses rated 58, 57 and 56. That means a trainer with a 55 rated horse has to go further out to get a start. Where you would think Melbourne trainers would ignore places like Echuca, Donald and Swan Hill – they are forced to go because their horse cannot get a start closer to home. A standard race card has 8 races but why can’t it be 10 or even 12? The gap between races here can definitely be shortened. I know Cranbourne are looking to have race meetings with just 20 minutes between races. It will be quite an achievement if they can pull it off. I’m not sure how big those pools are but I can’t say I’ve ever been up at 8am to watch racing (Sorry Kentucky Derby!). If it is worth them buying the broadcast rights, they must be getting some turnover but it does seem a bit much. Especially when we have the other two racing codes as well. I would like to see more racing tv in the form of talkback shows and documentaries rather than more racing. TVN do it much better than Sky on that front. Thanks Drew. Always appreciate your opinion and those quirky betting strategies of yours. Great article Andrew. What makes Steve such a good rider is his strength. Some people tend to forget that he is 183cm tall which is rediculous for a jockey. I thought there was a bit of an overeaction when he missed the weight for one of his rides and was subsequently suspended from the Oakbank carnival. What makes jumps jockeys good is their strength and Steve has just about every other Australian jumps jockey covered. I’ve always been a little surprised that he hasn’t given the UK a real crack in recent years. There’s a lot more races available to him and there are guys like AP McCoy who ride 72kg+ with rides in every race. I’m not sure if Steve will win the jumps title this season but he is definetly the best in the sport. He has the Joao Moreira effect where plenty of punters will back horses solely on the jockey. How good is the response??? Hard ridden like crazy and he still finds another gear! 99% of horses would have run stone motherless under that type of pressure so far out. Gee he’s a marvel!!! The one thing I like about the Orr and Futurity is they are at the start of autumn so we get the chance to see which three-year-olds are capable of stepping up to WFA class. I still have no idea why they changed the Futurity from 1600m to 1400m in 2011. We need more WFA mile races! As the last ones of the year, I wouldn’t mind seeing the Queensland Oaks/Derby extended to 2800-3200m so that they are St Legers rather than Derbys. At the end of the season, the time would be right to really test the three-year-old stayers to see if they are legitimate Melbourne Cup hopefuls. Agree 100 per cent with the Oaks and Derby comments. Personally, I’d much rather see the MacKinnon moved to the final day of the Flemington carnival. I think it would get a much better field. Cox Plate horses would more likely head there since they get a 14 day break rather than 7 and I suspect a lot of the horses around 24-30 in the Melbourne Cup ballot would opt for it rather than the Queen Elizabeth 2 Stakes since the prize money would be greater. There’s also a pretty good chance a few VRC Derby horses would back up into it.